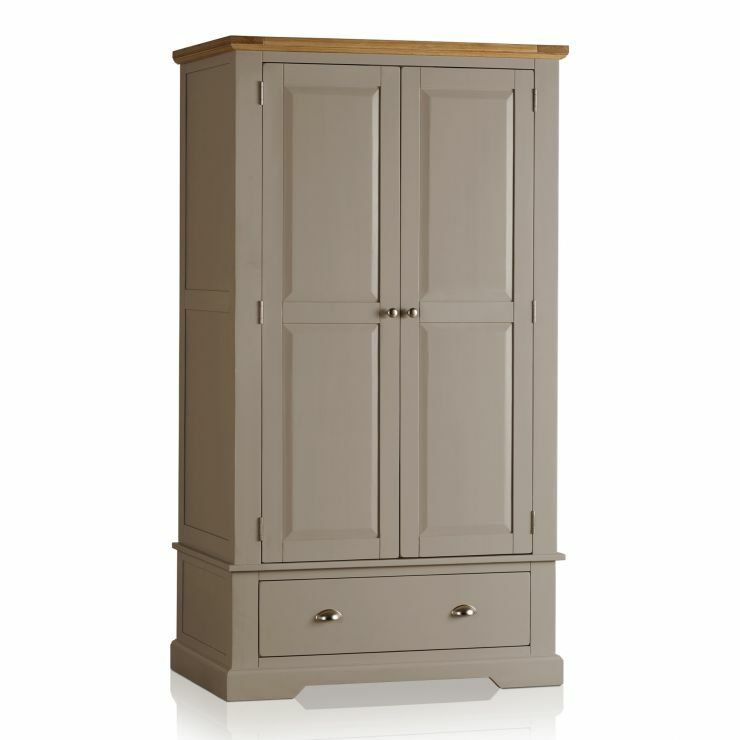 Natural oak and light grey painted double wardrobe. 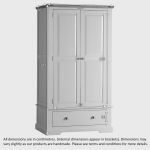 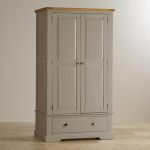 The St Ives double wardrobe is an attractive piece of furniture, built to last from solid hardwood and oak. 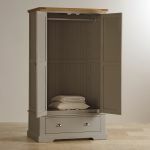 With plenty of hanging space and a good, deep drawer beneath, your clothes and accessories will be tidily stored away until needed. 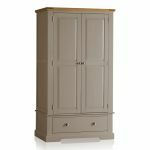 Strength is built in to the wardrobe, with dovetail joints on the drawer, and strong bracket feet adding to the comforting, robust feel. 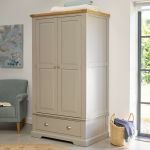 Have a look through the rest of the St Ives bedroom pieces, and see how simple it is to put together a modern look to your bedroom; all the furniture is made to match throughout the range.